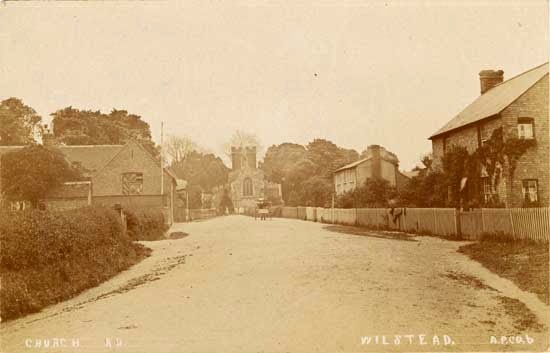 Tuesday 29th September 1914, Wilstead: A letter received from a French Hospital indicates that the notification of the death of Private Timothy Cambers sent to his young, pregnant wife at Wilstead was premature. There is no addressee so it is not known when Mrs Cambers heard that her husband was still alive. 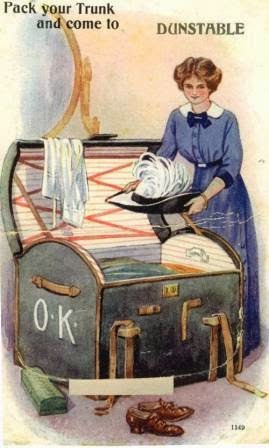 It is to be hoped that she received this letter soon after it was sent and did not have to wait for it to filter through the War Office machine. This is to certify that private Timothy Cambers No.8213 of the Bedfordshire Regiment company C has been in treatment in our hospital from the 27th of August 1914 on to the 26th of September owing to injuries sustained on the battlefield. 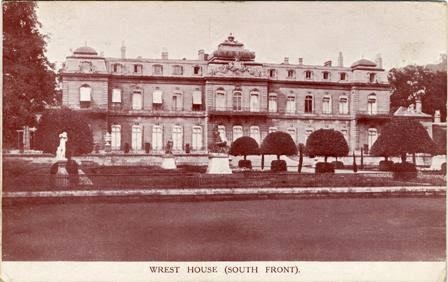 Saturday 26th September 1914, Luton: Soldiers wounded at the battle of Mons last month are now recovering at Wrest Park, the mansion of Lord Lucas at Silsoe which is being used as a military hospital. A number of the wounded were taken to see the football match between Luton Reserves and Gillingham Reserves today. Most had an arm in a sling or a bandaged foot – some had to wear slippers as they could not get their feet into boots. They said that nearly all the wounds had been caused by shrapnel. When asked one what war was like one soldier replied "there is only one word – hell". "About thirty of the soldiers at Dunstable were attacked by an insidious enemy, which came on in great numbers and took such skilful advantage of cover that there seemed little hope of repelling it (or them) without assistance. 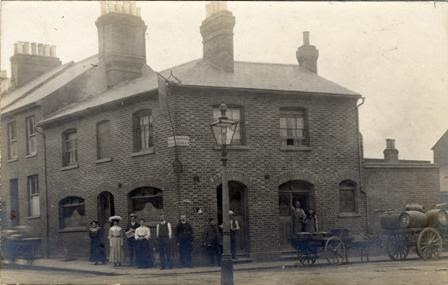 Accordingly, the soldiers retreated on the Luton Union House, the enemy hanging on with great tenacity. Here, by means of very hot baths for the soldiers and fumigation for their clothes, the enemy was completely destroyed. The soldiers stayed the night at the Union House, were made very comfortable by the Master and his staff, and next morning, after a breakfast, “went on their way rejoicing.” The enemy crept upon the soldiers very stealthily and unexpectedly, having, it is said, been brought into contact with the soldiers through the blankets which were supplied to them." It is not clear from this extract which bugs the soldiers had to contend with - lice, fleas or bedbugs. Lice were a serious problem in the trenches with as many as 97% of soldiers suffering from infestations, but they were largely confined to the Front so fleas or bedbugs are more likely culprits. For more about body lice during the war see this article at First World War.com. In that foreign land remote. 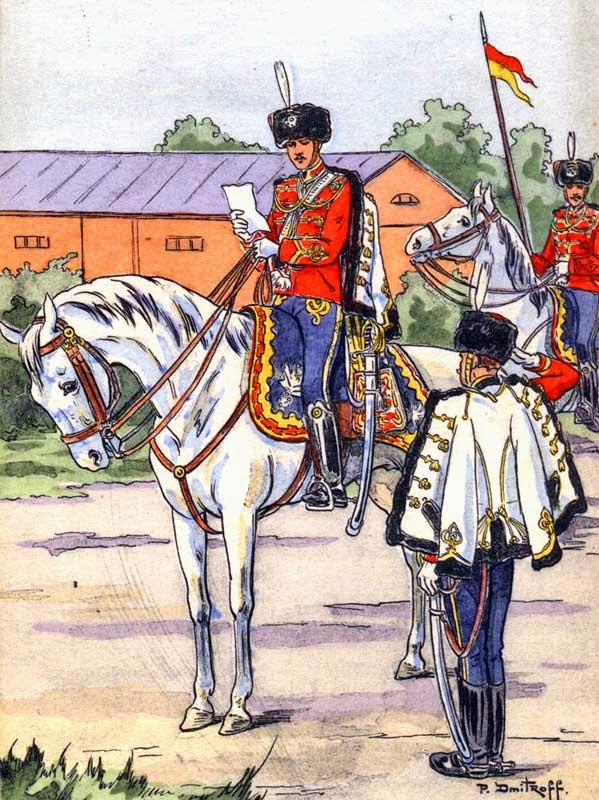 The letter was found by a Colour Sergeant. Unfortunately for the young lady author he was a married man! NOTICE IS HEREBY GIVEN that the Licensing Justices for the Borough of Luton have made an ORDER directing that on and from the 28th day of SEPTEMBER, 1914, and until further notice, the Sale of Intoxicating Liquors on the premises of any persons holding any retailer’s license in the Borough of Luton, and in all Registered Clubs, shall be suspended between the hours of 9 o’clock p.m. and 8 o’clock a.m. of the following day, and have further ordered that all Licensed Premises and all Registered Clubs in the said Borough shall be CLOSED daily between the said hours of 9 p.m. and 8 a.m. of the following day until further notice. Note: The Act of Parliament authorised Justices to introduce local restrictions on opening hours for public houses and off-licenses. It was intended for areas where there were large numbers of troops and not for general application. Closing times earlier than 9 p.m. could not be introduced without the permission of the Home Secretary. Sunday 20th September 1914, Luton: An appeal is being made by the Luton News for contributions of money to help the wife of a soldier who is now serving in Suffolk with the Territorials. Over two weeks ago she lost her purse contained £3 10s of her husband's enlistment money. She had the Town Crier announce the loss and appeal for the return of the purse. When this met with no success her husband wrote to the newspaper saying “we cannot afford to lose such a sum of money, as my money in the Service will not allow me to keep my home on. I am sure that when those who find it know that I am serving my country, their heart will tell them to send it to my wife”. Despite these appeals the purse and money have still not been found. Saturday 19th September 1914, Bedford: Rugby enthusiasts in the town were saddened to see the names of three old Bedford team members recorded as wounded on this week’s casualty list: Captain H.C.Potter, Captain T.S.Muirhead, and R.C.Campbell. 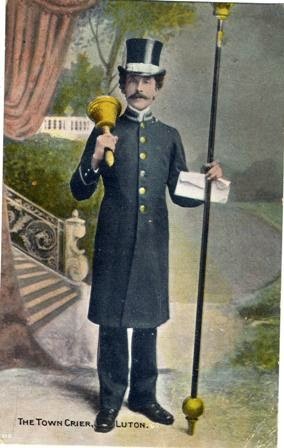 Captain Potter is serving in the Liverpool Regiment and formerly played for both Bedford R.U.F.C and the Bedfordshire cricket team; his wife’s brother Captain G.M.Griffith is another old Bedford Rugby player. 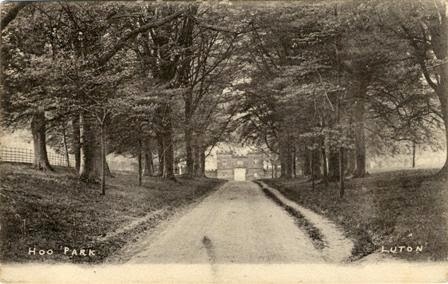 Captain Muirhead has been wounded in Nyassaland fighting with the Northamptonshire Regiment. Mr Campbell is considered to be one of the club's finest ever forwards. Friday 18th September 1914: Today King George V has paid a visit to Luton Hoo Park to inspect the North Midland Territorials who have been quartered in Luton. His Majesty is said to take a very keen interest in the Territorials and has visited many of their training grounds since the Territorial Force was mobilised in August. Over four thousand officers and men marched to Luton Hoo for his visit. These men are all volunteers who have given up their normal lives and occupations for the sake of their country in its hour of need. Although most have only been in the army for a month or less they have been well trained and already look like professional soldiers rather than raw recruits. 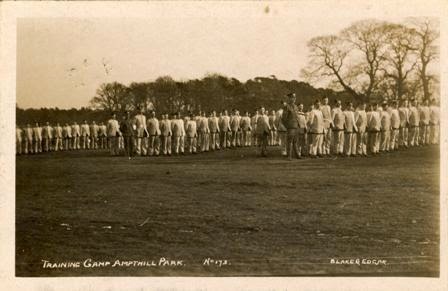 The troops assembled on the polo ground at the Park which had been turned into a parade ground for the occasion. His Majesty arrived by motor car at 10.45. By this time the troops were chilled from standing in the cold wind and were clapping their hands in an attempt to keep warm, but as the King arrived the sun broke through the clouds and brightened the scene. There was a general salute and the National Anthem was played. His Majesty shook hands with the commanding officer, General Sir William Franklin, then walked through the lines, inspecting first the infantry, then the artillery, and finally the Royal Army Medical Corps. After the inspection the troops marched past the King accompanied at first by a tune from the band, then by a bugle and a beating drum. The march past took forty minutes to complete. The King is said to have been impressed with their soldierly bearing and appearance. 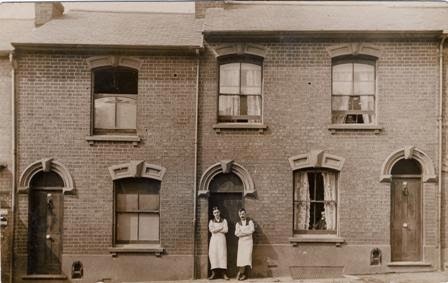 Wednesday 16th September 1914, Luton: A woman living in Ash Road, Luton was summoned to the Borough Court today. Mrs Fellows was supposed to have “used words contrary to the by-laws” in making certain statements about the soldiers billeted at Mrs Margaret Johnson’s house. When Mrs Fellows was spoken to about the matter she was said to have used objectionable words about Mrs Johnson. Mrs Fellows denied saying these words, but did admit she had spoken to a neighbour about the way Mrs Johnson and her daughter behaved towards the soldiers. The magistrates said that if Mrs Fellows had any complaint to make, she should make it to the military authorities. The case was dismissed and Mrs Johnson had to pay costs. Stir well together, leave for 2 hours covered, and stir occasionally. Strain and squeeze through muslin. Serve in a coloured glass to mask the colour. This will only keep good 12 hours. 13th September 1914, Luton: A Luton man, Walter Horace Jeffs, has returned home after being held as a prisoner of war in Germany. He had visited Lucerne in Switzerland with some friends at the end of July. When the war broke out his friends stayed in Lucerne but he decided to make a dash for it. On 8th August a message was received by his family that Jeffs was a prisoner at Baden and they later received a postcard from him saying he was “alive, well and in good spirits”, but as it was written in German they suspected it may not have been written entirely by Jeffs himself. He arrived back in Luton last week, saying he had been struck in the eye by an officer and roughly handled when he was arrested but had not suffered any further violence. He had been hungry however, being forced to travel by train for seventeen and a half hours without food and being given only one meal a day. When his health began to fail he was given a pass to leave for Holland. The friends he left in Lucerne, fearing that they would be stuck there for six months, were evacuated on a government boat and reached home at the beginning of September. French capers and Brussells Scouts. 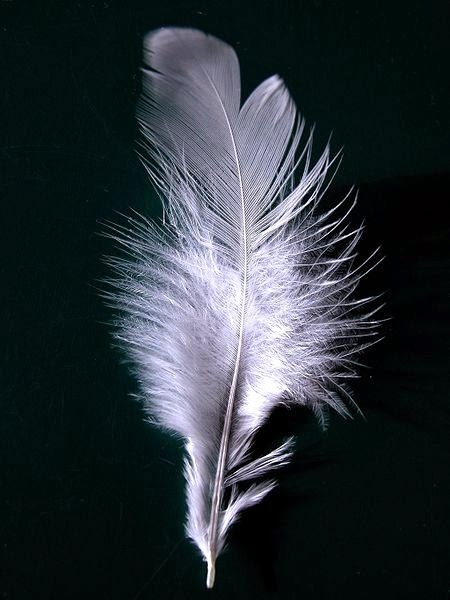 Dear Friends, - We are writing to tell you that your country needs you. We are having the best of times down here at Felixstowe. We are preparing for our country, and if we fail to win, what will you say? But it will be too late then, so come along and do your best for your King and country. 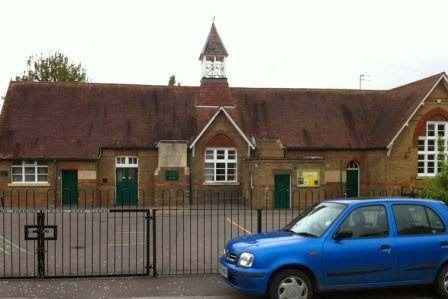 Remember that years ago the men of Luton and other towns did the same for us. Why should we not respond now? Don’t be down-hearted, as the more the merrier, and we are sure to win if you all try your best. Come along. There are hundreds down here, but still room for more. 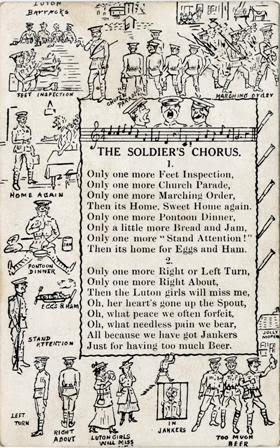 9th September 1914, Luton: Anyone walking up the Old Bedford Road last night would have seen and heard the soldiers enjoying a camp out as part of their training – at least, they certainly appeared to be enjoying themselves by the number of sing-songs going on around camp fires. They also seemed to have made themselves quite comfortable. Each man was given a great coat, a waterproof sheet and a blanket. By forming themselves into groups of four they could make a little tent out of two of the sheets, put the others on the ground with two blankets, and share the remaining blankets one between two. The soldiers all said they were warm enough for a good night's sleep, especially as many of them wore woollen sleeping bonnets. 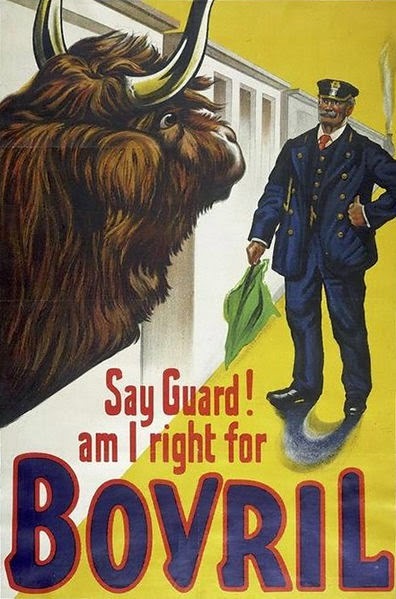 4th September 1914, Bedford: Rumours about the Russians abound. 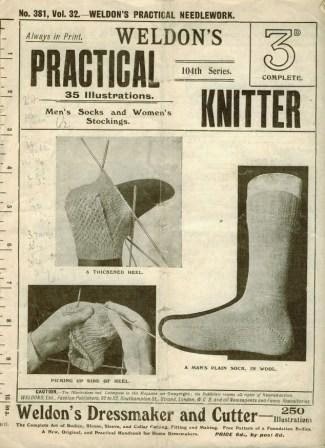 It has been said that Lord Kitchener has an “unknown factor” up his sleeve – surely this must indicate he knows the Russian army will soon strike heavily at the Germans. Trains have been seen speeding from north to south with their blinds drawn. These are supposed to be carrying Russian soldiers who have been transported by sea from Archangel to Leith in Scotland, from where they are being sent to France and Belgium. More evidence that Russians are being sent across the Channel from England came from a marine who returned to Bedford from Belgium and told his friends they had been ordered to leave Ostend when the Russians arrived. On Tuesday news came that the Kaiser and his HQ staff had retired to Metz because an army of Russians was advancing against them from the coast. This rumour has not been confirmed but almost everyone believes it to be true. Note: In fact there was no truth to the rumours of Russian involvement on the Western Front in the early stages of the war. At the end of August the Germans had defeated the Russian 2nd army in the East at the Battle of Tannenberg and during the early part of September the 3rd and 8th Russian armies were advancing against the Austrians. The French requested in December 1915 that Russian troops should be sent to the Western Front in exchange for munitions and the first Russian soldiers arrived in France in April 1916. 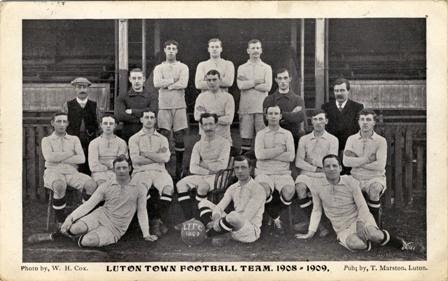 Thursday 3rd September 1914, Luton: On Tuesday a group of twenty seven men from an engineering works in Luton went to Bedford to join Lord Kitchener’s army. 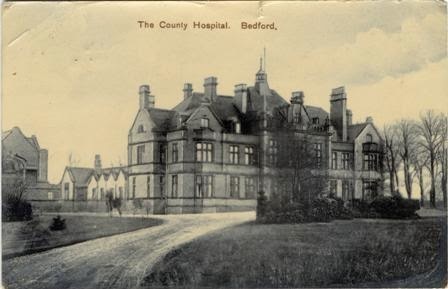 Although they had telephoned to find out where to go and when, they arrived in Bedford only to find there was no medical doctor available to examine them and were told to go home and return the next day. Yesterday they tried again, with their group expanded by another would-be recruit, and twenty two out of the twenty eight were enrolled. 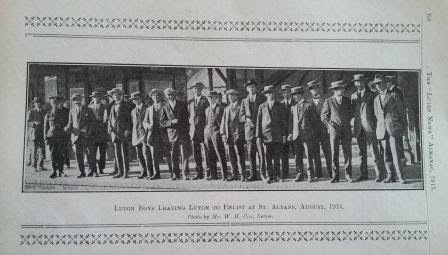 Another group of lads from Luton went together to St Albans to enlist in the 24th City of London Rifles. All but two passed the medical test and they have signed up for four years of foreign service. 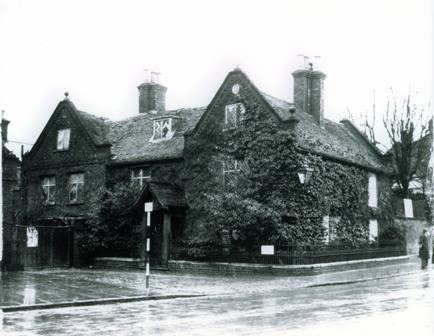 2nd September 1914, Leighton Buzzard: A public meeting was held in the Leighton Assembly Room tonight to consider forming a committee to deal with any distress arising as a result of the war. Mr George Payne, the Chairman of the Leighton Buzzard Urban District Council, chaired the meeting and read a letter he had received from Mr Samuel Howard Whitbread, the Lord Lieutenant of Bedfordshire. Mr Whitbread asked that such committees should be formed to work with the County Committee for the relief of distress. He also requested that subscriptions should be collected for the Prince of Wales’ National Relief Fund and the Bedfordshire Branch of the Soldiers’ and Sailors’ Families’ Association In response to the letter Mr Payne put forward a proposal for a committee as requested. 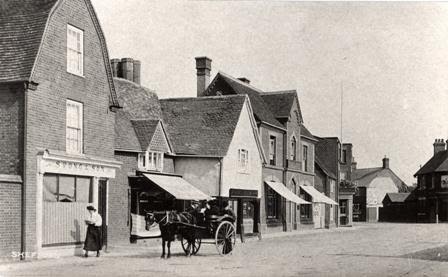 Mr Ernest Saunt, however, stated that the time had come for some very plain speaking and that he had never lived in a place so “choked with charity” as Leighton Buzzard. In his opinion “Leighton Buzzard was littered with loafers”. He considered it a disgrace that men wanted to be paid a bonus to do their duty and had heard a man say that “he did not care if the Germans did come to England, he had nothing to lose; let the ‘nibs’ do the fighting, the people who got the money out of it”. In his opinion nobody would make money out of the war as once the fighting was done Europe would be ruined for a quarter of a century. He would only have anything to do with the committee if he was absolutely satisfied that relief was going to the right people “instead of it getting into the hands of the usual cadging crowd”. The Chairman reassured Mr Saunt that only genuine applications would be considered and the constitution of the committee was approved. 1st September 1914, Biggleswade: A German musician named Erich Borchardt was fined £2 at a special police court held at Biggleswade Town Hall today. Borchardt had registered as an alien but admitted travelling outside the permitted five mile limit without permission. It appears he had left his motor cycle for repair at a shop in Shefford in July and had come from London to collect it. 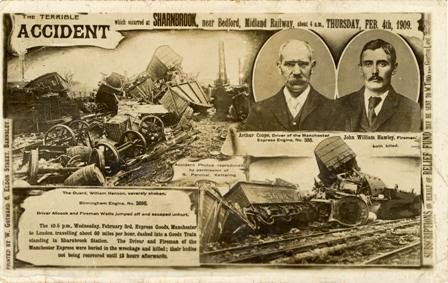 Borchardt’s wife paid the fine and they caught the train back to London. Note: Borchardt was subsequently fined £20 with the alternative of two months imprisonment at Marlborough Street Police Court on Wednesday 2nd September for failing to notify his possession of a motor cycle.